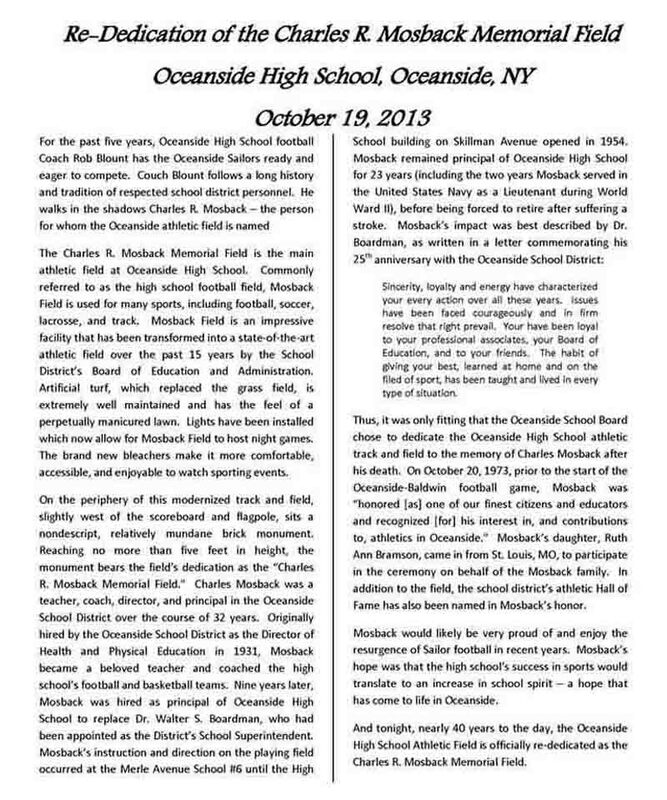 In October 2013, our principal, Charles Mosback, was honored by the Oceanside School District when, during halftime ceremonies at a varsity football game, the Oceanside High School athletic field was rededicated as the Charles R. Mosback Memorial Field. 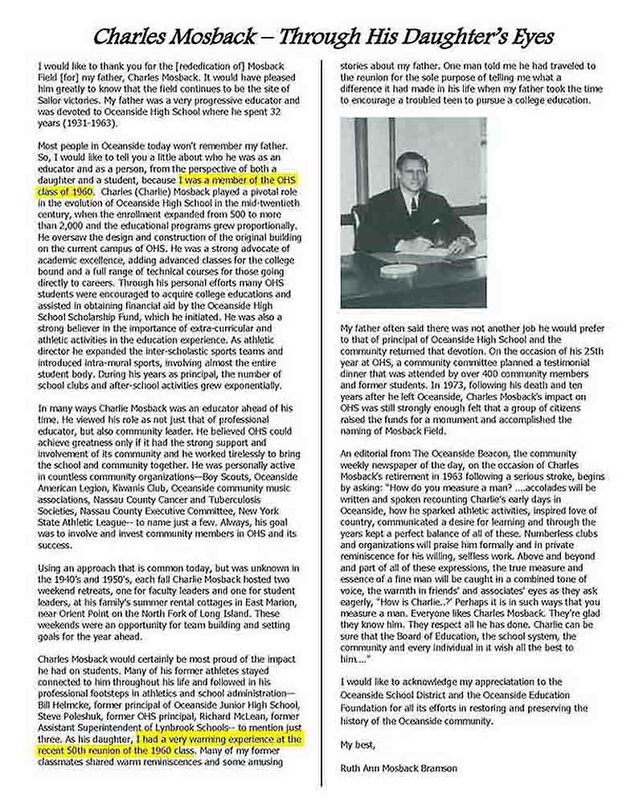 This took place 40 years after the field was originally named for him following his passing in 1973. 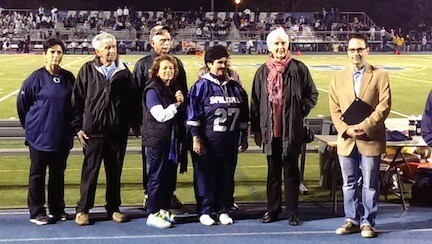 Mosback’s daughter, our classmate, Ruth Ann Mosback, was present and participated in the rededication.